Jeffrey Phillips is a biofeedback practitioner, entrepreneur, and lifelong high level athlete. He’s a recognized Capnolearning® expert, trained in capnometry by Dr. Peter Litchfield, who developed CapnoLearning®, a learning program for helping people obtain optimal respiratory fitness, in particular, the concentration of carbon dioxide that a person’s breathing attains. Jeffrey is one of only a few of the nation’s heart rate variability biofeedback practitioners who is using the HRV Flexibility® protocol in a clinical setting to improve HRV. Jeffrey has developed techniques using capnometry to teach optimal breathing while athletes are under both aerobic and anaerobic stress. He has also completed coursework in natural medicine, and auriculotherapy, a clinically effective treatment modality utilized for the relief of chronic pain. He is a counselor registered with the Colorado Department of Regulatory Agencies (DORA). He also offers an extensive background in data analysis and performance improvement. Jeffrey is passionate about observing the psychological/physiological link in athletes, and has an evangelical pursuit of how to get others into the performance “zone” quicker. Jeffrey is a former affiliate U.S. Professional Tennis Association instructor, as well as an avid cyclist, runner, skier, and gym rat. 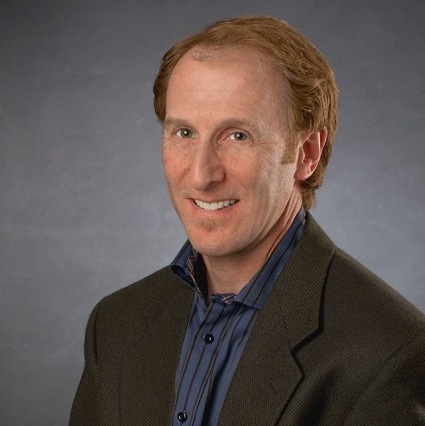 Dr. Whitehouse offers extensive experience in peak performance and sports psychology, including more than 35 years of clinical experience with respiratory fitness biofeedback (BFB), and 14,000 hours experience with Heart Rate Variability (HRV) and BFB. He’s a sought-after educator and lecturer, giving seminars and workshops around the world on optimal breathing and HRV training using capnometry to measure the breathing chemistry. Dr. Whitehouse has developed the Heart Rate Flexibility® (HRF) Biofeedback Protocol for improving the cardiovascular and respiratory functions in a synchronistic way. This leading protocol uses capnometry – the study of the efficiency of a person’s breathing, and measures it along with heart rate variability (HRV). It is based on 35 years of practical application in biofeedback and applied psychophysiology, and it is designed to give clients the skills they need to help attain optimal heart rate and breathing patterns, for a healthier physical, mental, and emotional life. As an educator, Dr. Whitehouse gives seminars and workshops around the world on breathing, HRV, and wellness. He founded one of the country’s first undergraduate level biofeedback programs. Dr. Whitehouse teaches for the Biofeedback Certification International Alliance (BCIA), and the Sport and Performance Psychology Master’s Degree program at Denver University. He’s trained in somatic experience therapy for stress and trauma reduction. Bob is one of the foremost authorities on the torus shape of the heart and the implications of the heart patterns in a variety of processes. Dr. Whitehouse’s training philosophy for athletes and others is OPT for the BEST- Optimal Performance Training for the Body, Emotions, Spirit, and Thoughts. Peak Performance Lab helps athletes and others maximize performance and quicken recovery through cutting-edge biofeedback testing and training. Copyright ©2013 . Site created by Champion Communications.